Actuellement Simple Tags n’est pas toute à fait compatible avec WordPress 2.8. For english users : a new version of Simple Tags for WordPress 2.8 is in preparation and will be release soon ! Peut-on les utiliser en attendant? When you will release the plugin for WP 2.8 its long time. Great plugin, but as a suggestion, could you add a feature that only tags the first instance of a tag in a auto-link post? For example, if I mention « Florida » a few times in the article, it’d be great if only the first « Florida » was a hot-link. Tagging pages is not possible. Or at least, they don’t appear in the tag cloud. Thanks for the great plug-in by the way! Est-ce que cette future version va gérer les taxonomies ? Bonjour! Je suis contente de lire qu’on aura une version qui marchera avec WordPress 2.8. Je l’attends mais je voudrais avoir une idee au temps de « release », si vous le savez? Merci. Than you for a great plugin. There seems like the count field in the term_taxonomy table is always set to zero when I use tags on pages. Qu’est-ce qui se passe? Toute mise à jour? Je crois qu’il faut s’y faire… on est beaucoup à l’attendre, cette mise à jour. 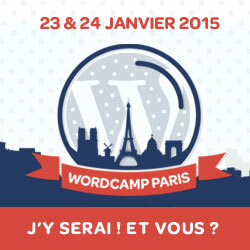 La gestion des tags dans wordpress reste un peu simpliste sans ce plugin. Thanks for the plugin….. I’ve tried a handful of auto taggers and haven’t gotten the desired results. I think yours will provide what I need however I have a question. I’m embarassed to ask, but I can’t tell from the documentation how to get the autotagging to work. What code do I have to place in my theme to make it work….or does it work automatically? Have been using this plugin on a couple of sites happily for some time, but since upgrade to WP 2.8.6 Click Tags, Suggested Tags and autocomplete are not working anymore! How do I get this to work in the new blog on WordPress 2.8.6? Perhaps without the opening and closing PHP? You wrote this 6 months ago. What’s happening? It would be nice to hear from you on this blog. doesn’t work with WP 2.9 and this is by far the best pluggin for what I use it for and would like to know if an update will be made hopefully in early 2010? Hi, i have updated to wordpress 2.9 and sadly i noticed that Simple tags doesn’t work with this version. Any news regarding an update to this brilliant plug-in? I found the solution to the incompatibility issue with WP 2.9. If you’re comfortable editing PHP files, you can fix it too! In the Admin panel, go to the plugins page, and find the Simple Tags plugin. Click on « Edit ». You will be editing the file « simple-tags/simple-tags.php ». Thank you for the idea. Actually you only need to change ( in initial code from simple-tags.php ) the version of wordpress from 2.8 to 2.9. And now my plug-in is working correctly. quelqu’un a une solution pour se servir de ce super plugin sous WP 2.9?? Problème réglé grâce au lien de Pfff ! Thank you for the new Simple Tags update for WordPress 2.8 & 2.9. Most certainly one of the best and most useful plugins on the block. Thank you for fixing simple tags, its my favorite plugin. Unfortunately I can no longer manually type in tags or as I type autocomplete would be available as this is not the case anymore. I can only click on the tags or use the tag suggestions and I need to be able to type the tags in as it is faster. Any idea why this part does not work? Will there be a fix if ST is causing the problem? If not, how do I fix it? @Shannon, from your description it seem that you use original wordpress tags. You need to activate Simple tags form plug-in menu. I upgraded to the newest version of Simple Tags and it won’t activate now! I click « activate » and nothing happens. Même problème que M. Wend et même en revenant à la version stable précédente, je n’ai plus accès aux réglages des options … même si le plugin semble encore fonctionner. Same here. Simple Tags plugin is desactivated automatically and cannot be reactivated. Tags itself work using WP core function, but ST’s original function like st_related_posts does not (returns error). Oops, I’m using PHP5 (Ver. 5.2.8). Thank you very much for updating this fantastic plugin to work with 3.0.1! Will try the plugin for sure. I procrastinate a lot and don’t manage to get nearly anything done. I’m embarassed to ask, but I can’t tell from the documentation how to get the autotagging to work. What code do I have to place in my theme to make it work….or does it work automatically ? quite a few of your posts. Several of them are rife with spelling problems and I find it very troublesome to inform the reality on the other hand I will certainly come back again. Ce plugin ne fonctionne plus il y a des bugs maintenant j’ai l’impression ? Is it working on the latest versions of WordPress? The Beef and Vegetable Stir Fry recipe is one of the best cake recipes to lose weight at home. is presented to the reader is proof enough. If you are serious on slimming down and wish to achieve a healthy body, you must do a number of adjustments in your lifestyle. thanks for Sharing this Helpful plugin.